Week 1 will be our model for training and recovery. Notice that I am allowing 2 rest days after my Saturday long run. Notice that I have factored at least 2 rest days in each week. 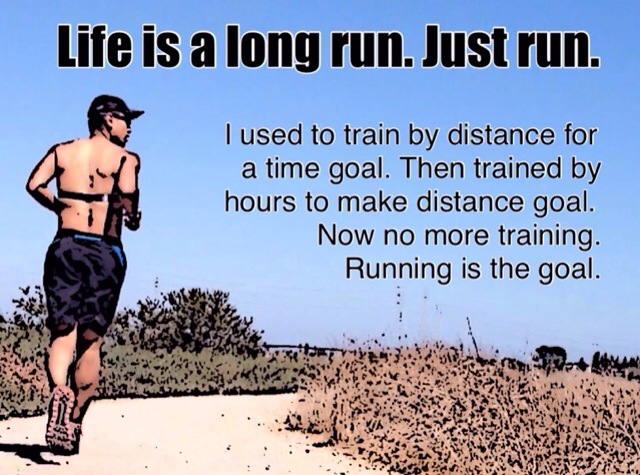 Maintain 3 days of 1 hour runs, add 10 minutes to the Saturday long run. The 8-9 days before the main event should consist of no more than 3 days running with no more than 30 minutes each run. Nutrition is as important as the training, often overlooked and underestimated. 1. Take in 16 ounces of fluid for every hour of running. 2. For every run that lasts longer than 90 minutes, replace electrolytes. Tues-Skip rope, GHD sit-ups, shoulder, lats, dipbar leg lifts, dumbbell 2 arm kickbacks. Wed- Skip rope, GHD sit-ups, shoulder, lats, dips, disbar leg lifts. Will be pushing out a double marathon for early 2013 instead of end of 2012. Wed – 01:18:07, 6.3 miles, 12’22″/mi. This week came off a vacation and almost right into Thanksgiving. Mon – 45 min spin bike planned. Actual: Rest. Tue -1 hr run planned. Actual: 01:00:00, 4.31 miles, 13’56″/mi, 158BPM. Wed – Rest planned. Actual: 50 min spin bike. Tue -1 hr run planned. Actual: Rest. Wed – Rest planned. Actual: Rest. Th – 2:36 hr run planned. Actual: 00:35:27, 3.1 miles, 11’22″/mi, no HR monitor. Thu – 1.9 miles easy, 3.1 miles consisting of sprints. Tue -1 hr run planned. Actual: 01:01:53, 3.9 miles, 15’41″/mi, 154BPM, 63°F, Mostly cloudy, Wind 8 mph, Humidity 52%. Wed – Rest planned. Actual: 02:00:16, 8.4 miles, 14’17″/mi, 161 BPM. Mon – 45 min spin bike planned. Actual: 10 minute skip rope, GHD situps 3×10, Knees-to-Elbow 3×10, Lat pulldowns 3×10, seated shoulder press 3×10. Tue -1 hr run planned. Actual: 01:33:05, 7 miles, 13’17″/mi, 165BPM, 75°F, Partly cloudy, Wind 10 mph, Humidity 65%. Wed – Rest planned. Actual: 00:48:05, 3.69 miles, 13’01″/mi, 162BPM, 81°F, Clear, Wind 6 mph, Humidity 17%. Mon – Create some fatigue in the gym for a good run tomorrow. Tue – Had a good run. Trail and pavement. Did it in a fasted state. Just water and coffee prior to a late lunchtime run. 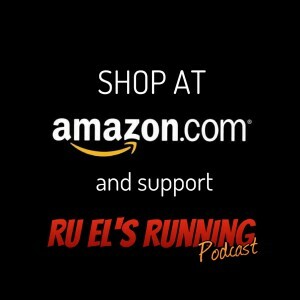 Wed – Completed back-to-back run for the week earlier than planned. Just felt right. Tue -1 hr run planned. Actual: 01:05:57, 4.4 miles, 14’51″/mi, 144BPM, 66°F, Scattered clouds, Wind 8 mph, Humidity 64%. Fr – 52 min run planned. Actual: 01:16:16, 6 miles, 12’33″/mi, No HR Monitor, 63°F, Mostly cloudy, Wind 7 mph, Humidity 63%. Mon – 45 min spin bike, GHD situps, leg lifts. Tue -1 hr run planned. Actual: 00:50:07, 4 miles, 12’31″/mi, No HR Monitor, 86°F, Clear, Wind 6 mph, Humidity 25%. Wed – Rest planned. Actual: 01:00:09, 3.9 miles, 15’25″/mi, 147BPM, 75°F, Clear, Wind 5 mph, Humidity 57%. Wed – Morning weight: 138.4 lbs. With fatigue legs from yesterdays run, decided to get a back-to-back run in. Mon – 45 min spin bike, lat pulldown, shoulder press, GHD situps, leg lifts. Thur- Planned run. Actual skip for work/fan med appt. Update 12/19: Will be pushing out a double marathon for early 2013 instead of end of 2012 to allow for more training. 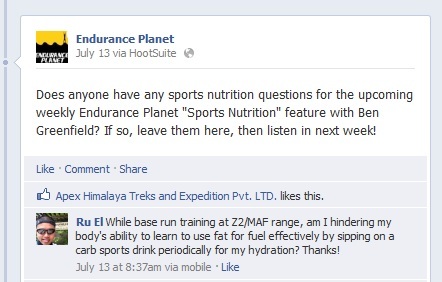 Earlier this month, I posted a question on the Endurance Planet Facebook page and was grateful to have it addressed in their “Sports Nutrition” podcast episode featuring Ben Greenfield. Thanks Tawnee and Ben! Thursday – 6/14 00:53:15 min run, 4 miles, 13’18″/mi, 161BPM. First run to test out legs since 50k ten days ago. Right leg problems at mile 2-3. Tue 6/19 Light Stretch, 5 – 3min rounds of skip rope, Wall Ball squats, 1 mile step climber, 20min spin bike, 1 mile treadmill. Wed 6/20 Light Stretch, 45 min spin bike, 1 mile treadmill. Evening Tae-bo DVD. Tuesday – 6/26 1:17:06 hr run, 6 miles, 12’50″/mi, 162BPM. Second run post 50k. Legs held up this time. Slight twinges, but the wheels stayed on the whole time. Wednesday – Recover. Tae-bo DVD. Friday – 6/29 30 min spin bike, 20 treadmill. 5 3min rounds of skip rope.